Glad to hear you're up on this, I think it probably cost me any chance of ever converting Jumes to a hip-hop fan though. :laugh: I figured out it wasn't the label switch that had me digging it so much, it's just that he's back to working with Phonk Beta again. Dude's beats are a perfect match for Lynch. And back to my old tricks. I'm pretty sure no one actually ever cusses in this one but I'm gonna go ahead and tag it anyway just to be safe. So, as I'm sure is obvious by now, I'm not a big fan of videogame music. In fact most of the time I play my games with the volume on mute and subtitles rolling. Therefore this will probably be the closest y'all see to me posting a videogame track. It has an almost completely unaltered Contra thing going on, all they've done is back it with some light drums. A sad but very pretty song by a Taiwanese pop/rock band. Alcest - "Souvenirs D'un Autre Monde"
The final 1.5 minutes are pure bliss! While I love original versions of Final Fantasy: Crystal Chronicles opening themes (the Japanese "Kaze no ne" and the English "Morning Sky") more, there's just something so powerful about this live version of Morning Sky. As usual this will be NSFW. Still worth a listen though. 'Til My Baby Comes Home - Luther Vandross. I got hit with something I've never heard before, but came on by request on the radio. The Star Wars Disco Theme. The disco theme just shows how enormous a sensation the original Star Wars was at the time. Of course, around the same time Rick Dees had a hit with Disco Duck. 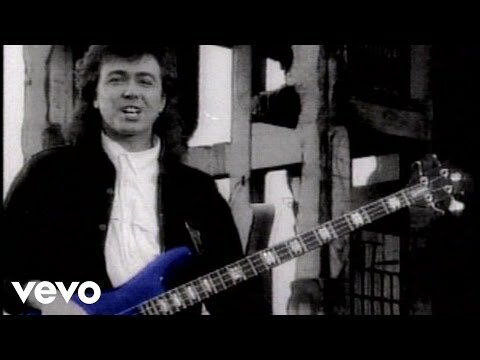 The Outfield - Since you've been gone. Good 80's tune, very catchy. but I am glad as hell I am, who I am"
Not as videogame related as one would think given the title. It does however feature some fantastic verbal gymnastics starting at about the 3 minute mark when he begins starting each word with the letters L, S, & D in succession. For example "Little soldiers develop like serpents despite life sentences, dumb lemmings, some don't like sobriety's dirty lenses, some do." I have heard lots of song. I love to listen music in alone to feel it. Today I have heard The Color Of Tempo song. This song is my favourite song. I really like this song. One of the three new tracks for the 3DS version. I personally think it's better than all the other songs in the original version.